How do you know you're ready to retire early? 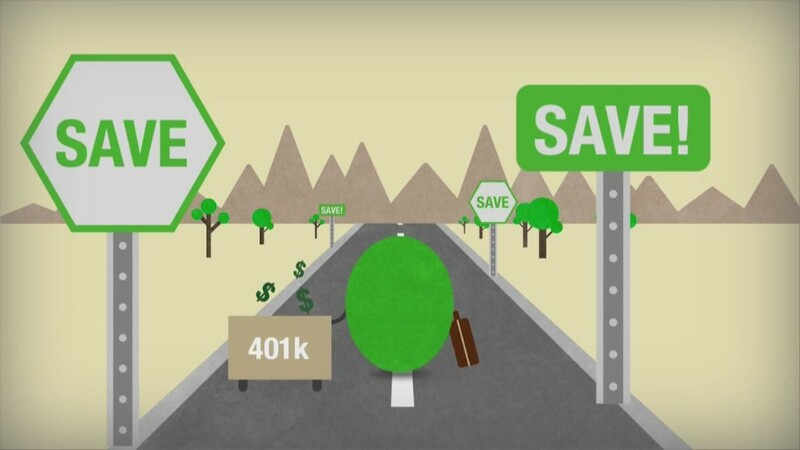 How do I know if I can retire early? Some people go to great lengths to set up their spending, saving and investment goals so they can retire early. For Justin McCurry — who retired at age 33 with $1.3 million so he could spend more time traveling with his wife and three kids — retirement came more than 30 years early. And not by accident. While the main goal is figuring how much you'll need and reaching that magic number, there are other considerations, too. Hitting that number can be so exciting you want to launch right away, says McCurry. But not paying attention to details of your post-working life can undermine or even undo some of the hard work you've done, he says. First, you're going to need to tally up your expenses, think about what kind of lifestyle you want to live, and come up with a number for how much yearly income you think you'll need. But the tricky part is figuring out how big of a nest egg you need to save to provide that income. A classic retirement rule of thumb is the "4% rule." It means if you have 25 times your annual expenses saved, you can expect to withdraw 4% a year and not outlive your portfolio. But that formula is based on someone retiring in their 60s and living for roughly another 30 years. Retiring early means you'll be drawing down on your savings for many more years than a typical retirement. "We looked at our spending and added and subtracted items for our budget," McCurry says. Work clothes and commuting went out and travel came in. "We decided to use a 3.5% withdraw rate since we are in our 30's, to be a more conservative." His family of five now lives on $40,000 a year. Since early withdrawal from traditional retirement vehicles like IRAs and 401(k)s will incur penalty fees, early retirees need to figure out how to regularly get money with the least adversity. A substantially equal periodic payment (SEPP) plan allows you to withdraw about 3-4% of your money annually before age 59½ without incurring tax or early withdrawal penalties. Although bound by a strict IRS formula, there are three methods used to determine the payout. These payments, once started, will continue for five years or until you are 59½, whichever is later. While it can work well if you're bridging a short gap between retiring and age 60, McCurry didn't think it would work for him. "I was 33 when I left work," he says, "I didn't want to lock myself into a fixed annual pay out for the next 27 years." Instead, he set up a Roth IRA conversion ladder. The IRS allows money converted from a traditional IRA to a Roth IRA to be withdrawn penalty free and tax free. The catch is you need to wait five years. If you convert $30,000 in 2018 (and pay any tax owed), you can with draw $30,000 in 2023. By annually converting an amount to withdraw in five years, you can build a ladder of income. Health care is not only a major expense, but it's also unpredictable: both your health and the system. With years to go before Medicare kicks in, you'll need to purchase your own health insurance. That can be expensive. But retirement also reduces your income, which could qualify you for some kind of help. McCurry and his family get coverage through the Affordable Care Act and, given their income and the size of their family, they even earn a subsidy of nearly $10,000 dollars. A change in where you live can make a huge difference in your costs, says McCurry. "People usually live where they live because their job took them there," he says. "But they say 'I can't afford to retire here.'" Consider downsizing, or moving to where housing costs less. Set up your new residence before retirement, McCurry advises. Even if you plan to travel for a while right after retiring, it could be worth it to arrange for your future home before you go — maybe even earn passive income from renting it out. "Maybe you want to pay cash, but if not it will be easier to get a lease or a mortgage when you are working," says McCurry. "Sure, you can show a $2 million balance sheet to a mortgage broker, but they can still say they need to see your income." Don't forget to account for other unknowns, like inflation and market returns. "We often run multiple scenarios with different assumptions — for inflation or growth rates, for example," says Jennifer B. Harper, a certified financial planner and director of Bridge Financial Planning. Then she says she applies a "Monte Carlo" analysis, a model that looks at multiple outcomes to provide a probability distribution or risk assessment for an investment, to show ranges of potential projections. "It's not perfect," she says, "but it's a heck of a lot better than modeling straight line growth for everything."